With the dearth of posts lately you’ve probably noticed I’ve had bloggers’ block. Before rumours start circulating that I’m either pregnant or head down writing another book I should let you know what the real reason is. I should fess up outright that I haven’t baked anything for months since I’ve been on a cake and biscuit de-tox. I’m still being interested in chatting about baking but my kitchen has been largely a cake free zone for a while. As I’ve said previously, I don’t see the point in documenting weight loss and exercise programmes until you’ve lost a significant amount and kept it off for a significant time. In the meantime therefore, I will be writing about baking and dessert related news without putting myself under any obligation to fill my kitchen with sugary temptation on such a frequent basis. So there you have it, for a while I’m going to be a baking blogger who doesn’t bake. 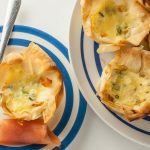 I came to a decision that I didn’t want baking to be the sole focus of my life although it would remain the dominant focus of this blog. 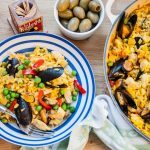 You may already have seen my mini spin off site Dinner With Crayons which is where I’m gradually moving the non-baking food content, restaurant reviews and family content, I have also been working behind the scenes on a new French travel site too. I will keep you posted when this goes live and hope the Francophiles amongst you will follow. Meanwhile, enjoy my latest book reviews and I hope you will be inspired to try some of them out whilst I’m eating salad and working out at the gym! PS before anyone starts yet more sniping about book reviews by people who haven’t cooked anything in them, consider that easily three quarters of cookery books purchased are used as armchair reading and NEVER have anything cooked from them. Clearly a lot of people get pleasure from cookery books on this basis. So there! 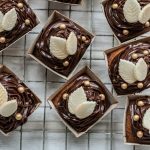 Taking inspiration from the underground restaurant/supperclub movement, Lynn Hill’s brainchild Clandestine Cake Club has grown from a secretive local get together to a nationwide baking movement. This home-spun community baking network has tapped into our credit crunching zeitgeist triggering much TV and media coverage. 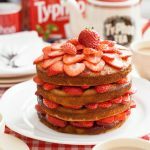 The eponymous Clandestine Cake Club Cookbook brings together contributions from a full geographic spread of over 30 CCC members. 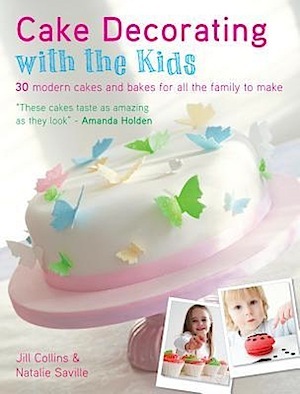 With bookshop shelves heaving with new baking titles, you’d not think a book simply about cake would work but it does. The absence of cupcakes, brownies and muffins pushes slice-able cake creativity with every flavour, texture and structure centre stage. Around three quarters of the cakes are illustrated and any of them would be worthy of a National Trust cafe counter. By no means is this a book just for your granny, but she’d definitely like it. 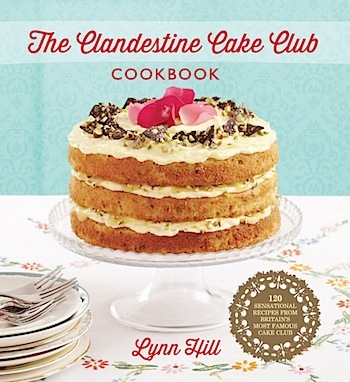 The Clandestine Cake Club Cookbook edited by Lynn Hill (Quercus). From the same series as my own book comes Bake Me I’m Yours… Push Pops. For the cupcake phobic, push pops are probably the devil incarnate. A push pop, incase you’re not familiar, is several cupcakes sandwiched into a clear tube on a stick. For food snobs they’re everything that’s wrong with cupcakes and cake pops merged into a plastic package. Whilst gastronomically I’m inclined to sympathise, my sense of fun overrides and push pops offer a new realm of baking presentation combinations to play with. This little book features five mini cupcake sponge recipes, six buttercreams (each with variations) to mix and match into 40 push pop combos. Some push pops are simply decorated with sweets or fruit with two thirds of them topped with easily achievable themed sugarcraft designs. 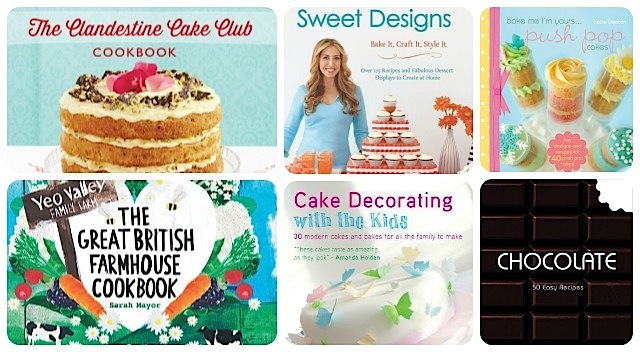 Like other books in the Bake Me series, the projects represent a wide range of holidays and celebrations. You’ll need to invest in push pop containers before you start popping these confections out. 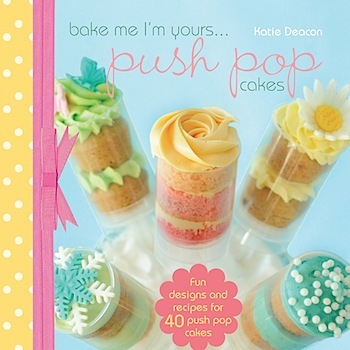 Bake Me I’m Yours… Push Pops by Katie Deacon (FW Media). You may not have heard of Academie Barilla – they are an organisation who preserve and promote the traditional Italian cooking. Chocolate: 50 Easy Recipes pulls together the components of chocolate themed Italian desserts. There’s no tiramisu – although that’s technically coffee – but plenty of puds Nigella has probably introduced you to already: semi freddo, zucotto, cannoli. Less familiar to me were torta caprese (chocolate and almond tart), cremini (fried, similar to doughnuts) and bonet (rum and caramel cheesecakey slice). The presentation is, as you’d expect, cheffy and the recipes traditional rather than outlandish. That said, this small volume with its quirky bite taken out of the corner of each page is chock full of crowd pleasing chocolate cakes and desserts you’ll find hard to resist. The cover photo above doesn’t do it justice. Plus it’s a bargain £5.99 on Amazon right now. 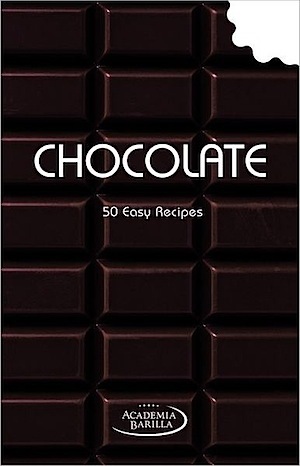 Chocolate: 50 Easy Recipes by Academia Barilla (White Star Publishers). Cake Decorating with the Kids is full of basic sugarcraft projects grouped by theme which even if your kids aren’t skilled enough to achieve, they’ll certainly be attracted to. Easter chicks, ladybirds, flowers and even a teddy bear’s picnic. Some projects are definitely a join effort between adults and kids such as the stacked cakes but probably an enthusiastic nine year old under supervision would manage most things in this book. It’s not just big cakes, there are cupcakes, cookies and cake pops too. Step by step pictures throughout and a nice big A4 soft back format, this is definitely a book I’d have poured over begging grown ups to make stuff from. Would make a great gift for pre-teens who are into baking and cake decorating. Cake Decorating with the Kids by Jill Collins and Natalie Saville. Dessert tables are a hot import from the US and Amy Atlas is one of the doyennes of the trend. Sweet Designs offers 14 themed baking displays for parties, weddings or baby showers with templates and styling ideas to match. Fantastically inspirational, Sweet Designs feels like a paper version of Pinterest in your lap. 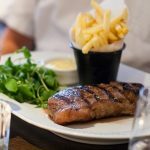 There are sections on labelling your table items, making bags and candy wrappers and a full list of stockists for props used in each table layout – the only sad thing for UK readers is that these are all from the US and difficult to obtain over here. 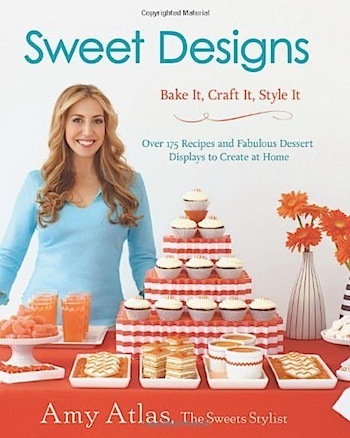 Beyond being a book full of desserts and recipes, this volume has a dizzy parade of ideas for your next home celebration. This book would be idea for anyone wanting to cater for their own parties in style or planning a home-crafted wedding on a budget. My copy is an American import so none of the ingredients or craft supplies lists are in metric but apart from this it’s all very easy to follow and beautifully laid out. A highly recommended aspirational read even if you doubt you’ll make any of it yourself. Sweet Designs by Amy Atlas (Hyperion). Yeo Valley are nowadays best known for their yogurt however their Holt Farm base in Somerset produces a range of organic dairy products as I discovered in my visit there last year. Sarah Mayor, daughter of Yeo founders Roger and Mary Mead grew up on the farm with its British Friesan herd and later a tearoom. 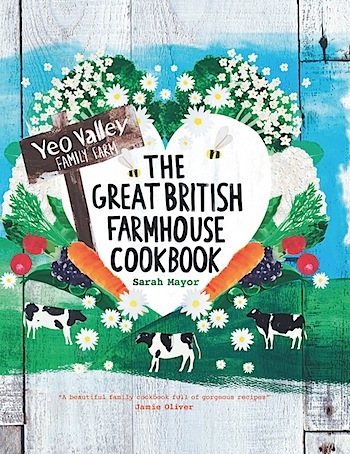 The Great British Farmhouse Cookbook is her collection of recipes showcasing the dairy products in Yeo’s repertoire alongside fresh produce grown at Holt Farm. Generously they encourage readers to make their own yogurt, cheeses and butter (as opposed to buying Yeo’s) so there is a sense if you tend your vegetables you can buy into the Yeo way of life through this book. Jamie Oliver is a fan and the matt pages and graphics inside the book are highly reminiscent of Jamie Magazine. 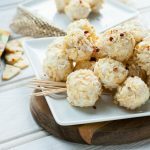 Dishes I’m most tempted to try include a savoury cauliflower, caramelised red onion and Caerphilly cake made from polenta, blackberry and brown sugar fingers and Sumatran lamb curry. The chapters are organised according to where key produce came from; the pasture, the fruit orchard, the veg garden, the farm yard, the woods, hedgerows, fields and streams. I can see their logic in this but it makes the dishes on the pages seem to be in a higgledy piggledy order i.e. 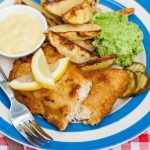 fishcakes with a lemon butter and chive sauce in “the dairy” chapter are immediately followed by jellies and puddings. The “farmhouse kitchen” chapter mostly devoted to baking precedes the chapter around meat. The recipe list at the rear breaks things down into a more comprehensible run through that would have made more sense. It’s a lovely looking book, but if the two copies I’ve received are representative, it’s let down by poor quality binding. It’s tightly glued instead of stitched meaning you can’t apply light pressure to the spine to encourage a certain page to stay open – it springs shut with a noisy glue stretching crack instead. Which for for a book from a reputable publisher like Quadrille is surprising. A delightful book but check you’re happy with the binding of your copy in real life bookshop rather than risking a creaky copy from Amazon. 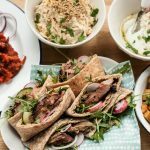 The Great British Farmhouse Cookbook by Sarah Mayor (Quadrille). With thanks to FW Media, Clandestine Cake Club and Yeo Valley for review copies. Amy Atlas was my Christmas pressie from my mum!